I will be at the flat to welcome you on your arrival. Also I will be on your disposal during your stay in case anything happens. Very good and clean apartment.It is on the center of the city,near to the sea.The owners are very friendly though. The flat is a quite area that is both near the town centre and the beach. Getting around on foot is pretty easy. 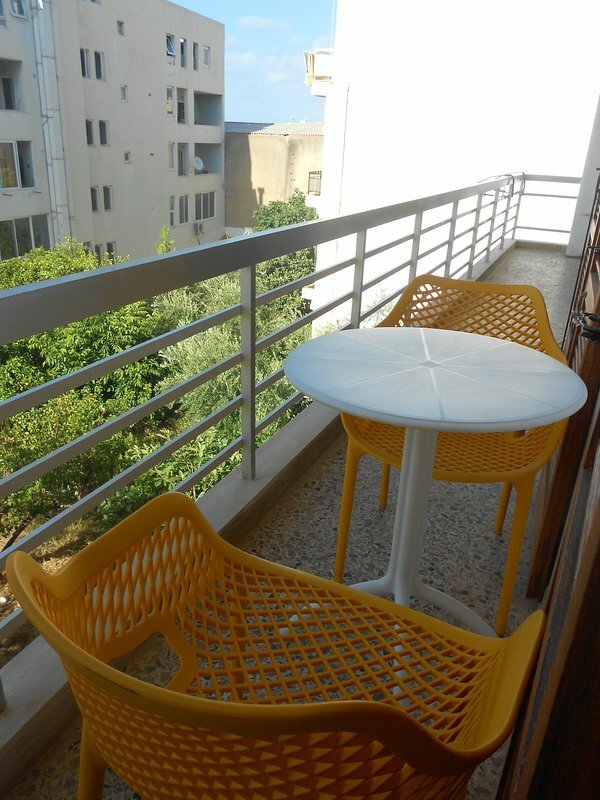 The flat is only 1km away from the centre of the town and the old town of Rethymnon. As for the beach it is only five minutes away from the flat. Also if you are interested in more sightseeing a car is recommended in order to explore more.